It doesn't get much more Front Row than having a 360 degree fashion film beamed straight to your retinas with Google Cardboard. 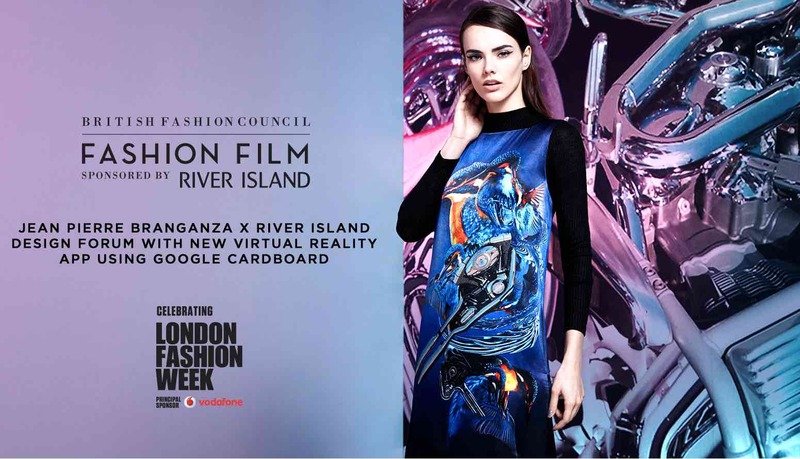 That's what River Island is offering at London Fashion Week this week with its new VR experience to launch its Design Forum x Jean-Pierre Braganza collection. From Monday you can head to Somerset House or (from Tuesday) River Island's Park House, London and Amsterdam stores to experience the fashion film yourself. We imagine the film will also be available to anyone who has already got a Google Cardboard set at home for their smartphone but that's not yet been confirmed. The teaser video on YouTube gives you a good idea of what to expect - there's a CGI kingfisher involved to tie in with the prints on the new designs. With London Fashion Week kicking off today, expect to see more wearable tech and VR collaborations in the next six days or so. It needs to compete with New York Fashion Week which saw Intel showing off its MICA bracelet again, the confirmation that Michael Kors is working on wearables as well as the launch of these bonkers 3D printed, robotic high-tops.